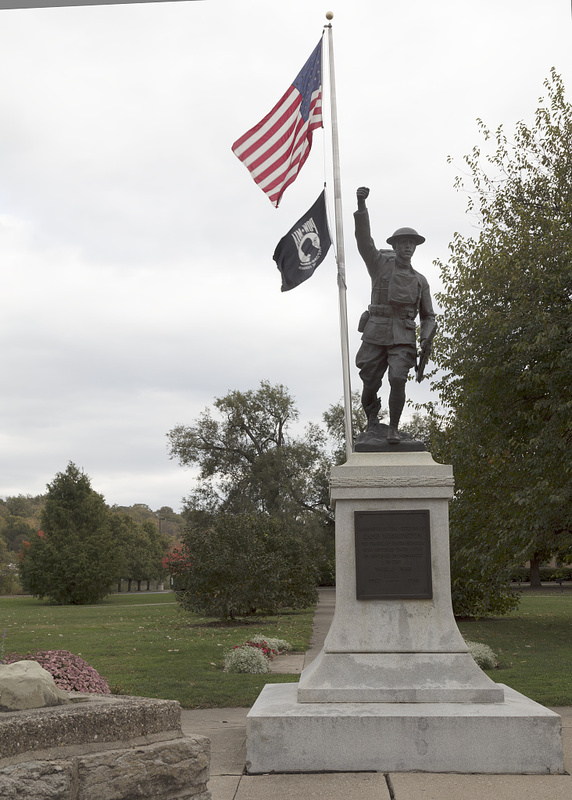 Life-size soldier in World War I infantry uniform charges forward atop a granite pedestal while holding a rifle at waist-height in his proper left hand and a grenade above his head in his proper right hand. 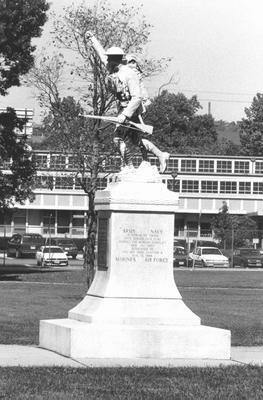 The style of this Doughboy is similar to that of E. M. Viquesney's "Spirit of the American Doughboy." 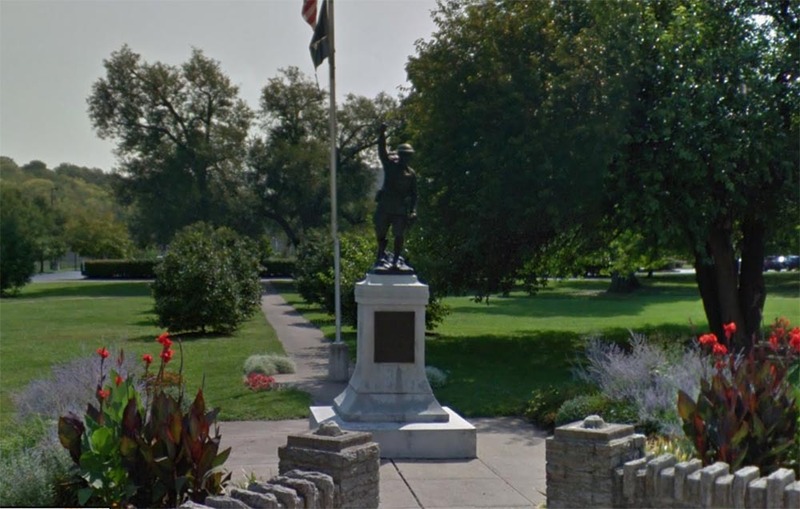 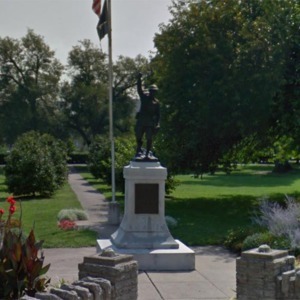 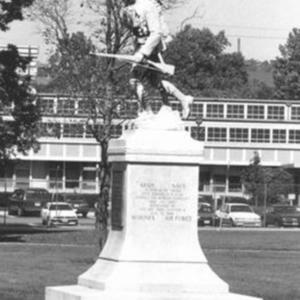 : J. Paulding, “Camp Washington War Memorial,” Ohio Outdoor Sculpture Inventory, accessed April 22, 2019, http://oosi.sculpturecenter.org/items/show/571.